If you're feeling particularly bad about where you're at in your life at this moment, you probably shouldn't read any further. Because fellow millennial, Daniel Radcliffe, is about to get a star on the Hollywood Walk of Fame. If you're a masochist, and are still reading despite your envy, here's the bright side: Radcliffe's been a household name since childhood, and he's had a lot more time to get his bearings career-wise than you probably did. But that doesn't mean he's undeserving. In fact, I feel that Radcliffe's star is almost overdue. Sorry, underachievers. That much is true. The actor may be best known for starring in all eight Harry Potter films, but his talent and endearing persona proceed him. 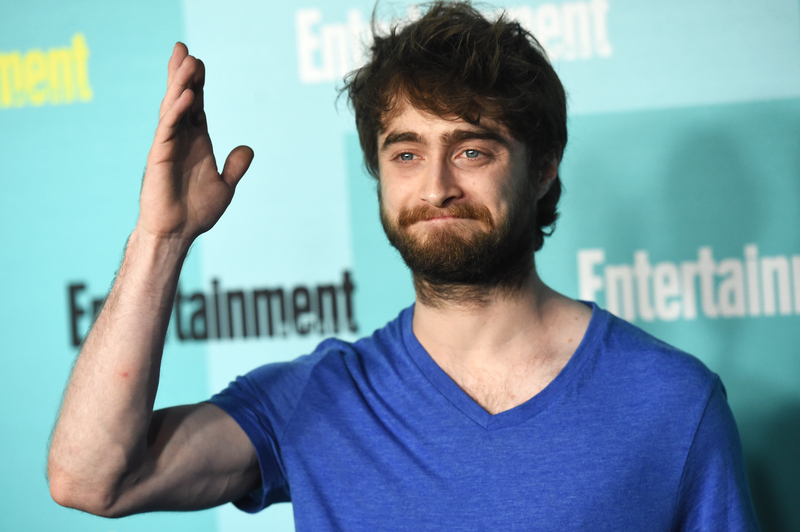 It can be difficult for child actors or actors from a major film series to shake the public's notion of them, but the 26-year-old has made his Potter to Hollywood transition look absolutely seamless. This guy has the fame thing down pat, and he's never had to do something salacious, self-destructive, or ridiculous to get our attention. He knows he's already got it, and his star speaks to that fact. Here are seven non-acting moments that prove Daniel Radcliffe is totally deserving of his star on the Walk of Fame. Sure, his acting may have gotten him there, but his charm needed to be rewarded too. He was, as he said, "excited" about The Ellen Show's fake earthquake. The dude is unbreakable (much to Degeneres' dismay). And was barely even flustered. Honesty, man. It goes far. Name a thing you can't do, Radcliffe. HONESTLY. And was the nicest and cutest temp of all time. But, even then, he was super cool about it. Radcliffe, you got that star with your finesse as much as your acting. Get on with your bad self.